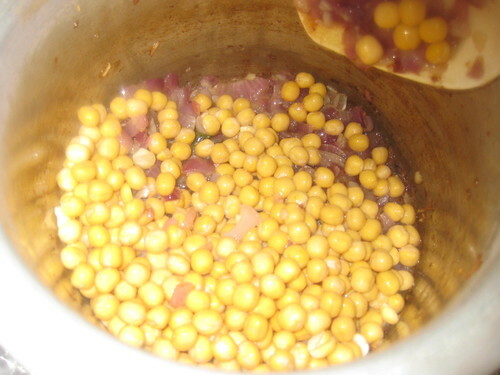 Soak peas overnight in water. 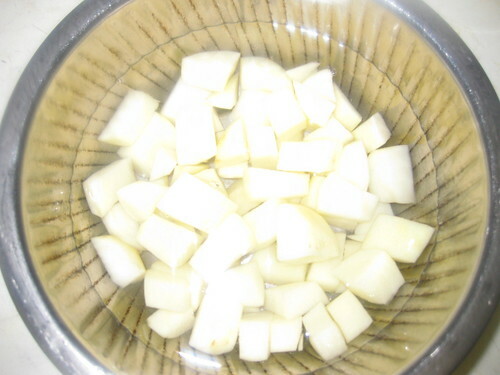 Cut the onions into small pieces,peel and cut into chunks potato. 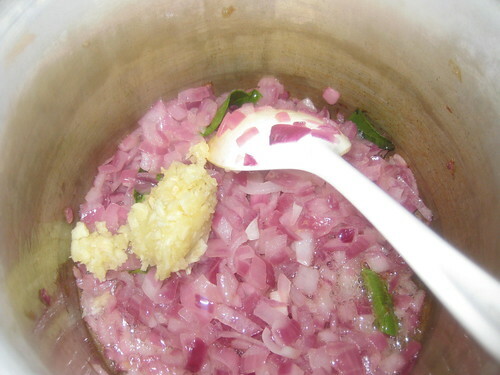 Heat the pressure cooker,add oil when oil is heat add onions fry for till onions become half tender. 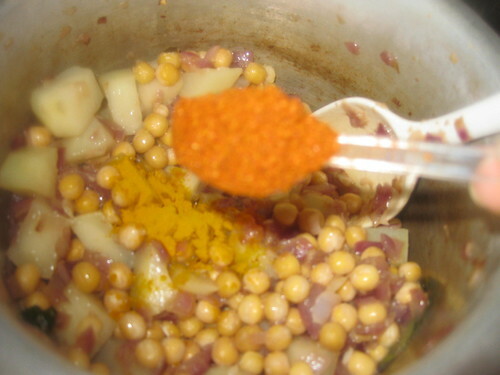 Now put ginger/garlic paste fry for 3 min,now add peas,potatoes,turmeric powder,chilli powder,garam masala powder mix and fry for a 2 mins. 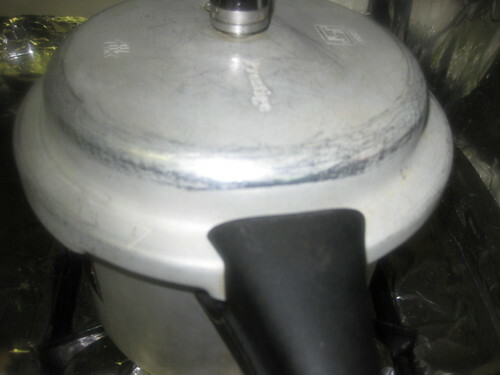 Now add water mix well.pressure cook it for 3 to 4 whistle. 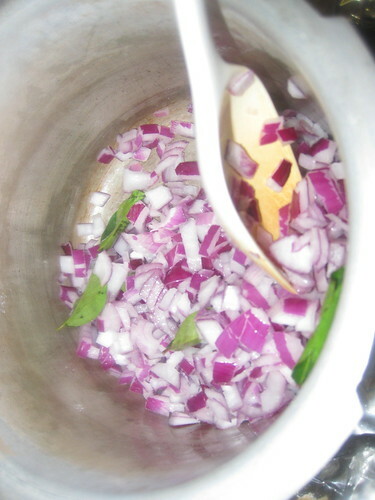 Now open mix the curry and add salt cook for 5 minutes off the flame. 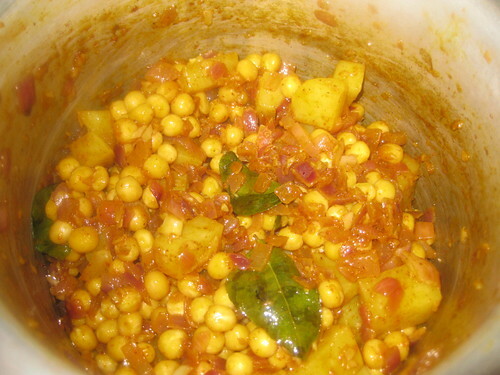 Serve with Rice , chapati, upma, or puri .Left over curry we can make chaat . 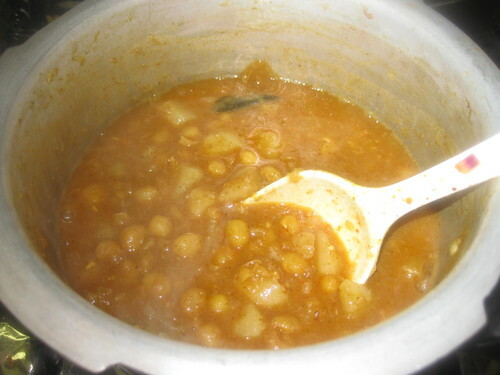 Wat a delicious curry, goes prefect with rotis..
You got a lovely blog with delicious recipes...Happy to follow you..
My all time favourite curry. 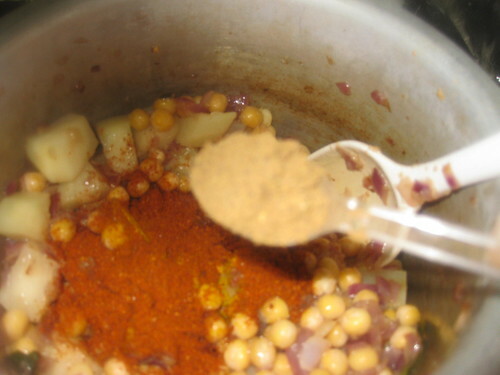 You have prepared a mouthwatering looking curry. very nice curry. 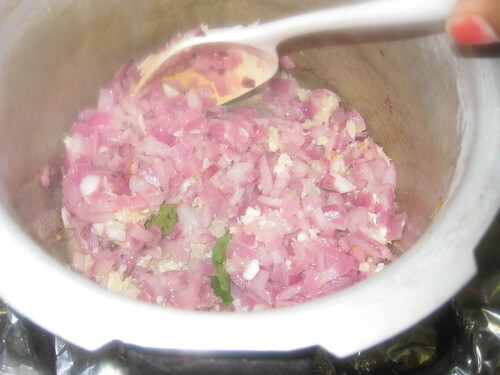 goes good with hot rice, or chapatis...thanx for showing in step by step! 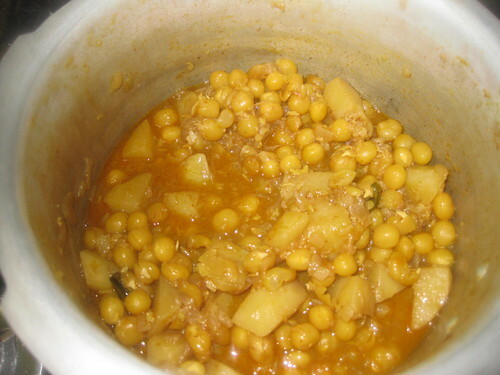 Yellow peas with potato curry looks delicious . Nice curry. 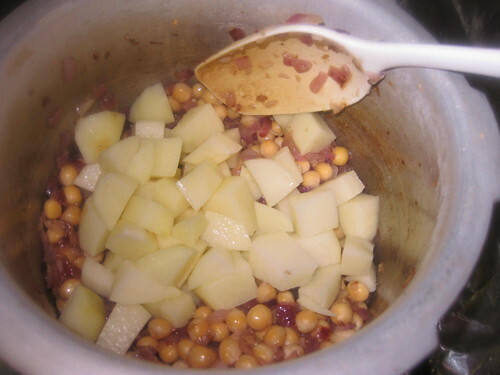 Yellow peas and potato combination,wonderful and delicious recipe,looks so nice. 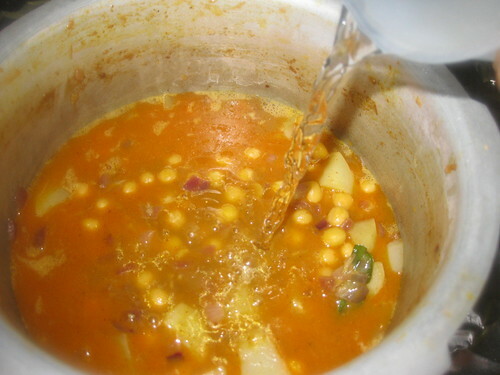 A delicious and mouthwatering curry! 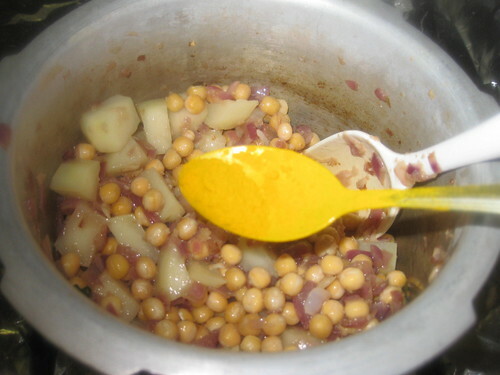 Peas and potato... Delightful combo..
thanks for the step-by-step clicks..
Great recipe and looks so yummy! Love this recipe, I too make it in a similar way. Hey, somehow I had problem watching your pics (could see only one). Not sure if it is my internet issue or if you have trouble. 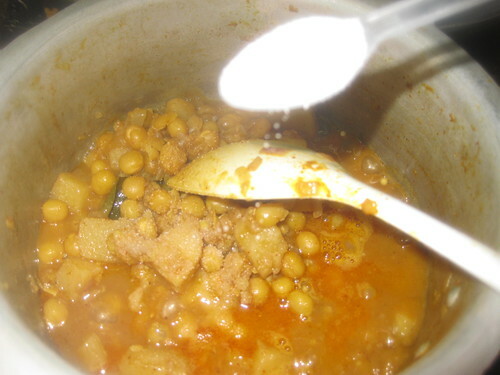 My all tie fav curry looks simply delectable. 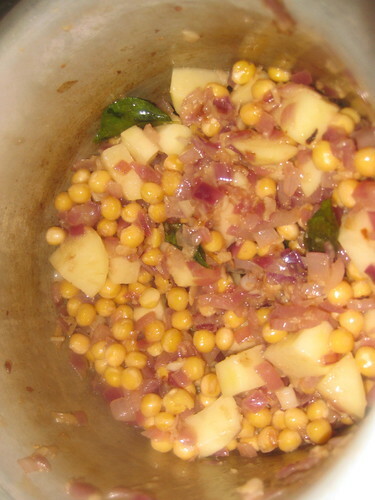 Superbs step by step visuals, calls for plenty of patience,, and just great curyy.I dont use dried yellow peas,but your post has inspired me to shop for the peas and try it out,will get back after trying. You put very tasty ingredients in this dish. I am sure it was big success. Thanks for stopping by my blog, I am following back! 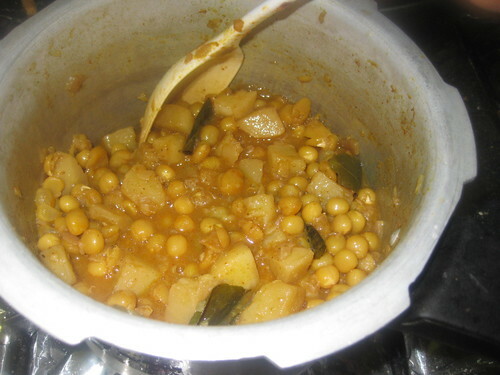 Looks delicious and nice clicks...thanks for sharing this recipe Divya.